Being brutal is tough. STAYING brutal, is even tougher. Encourage those around you to embrace their brutality and keep it that way. This is a standard issue 11 oz. 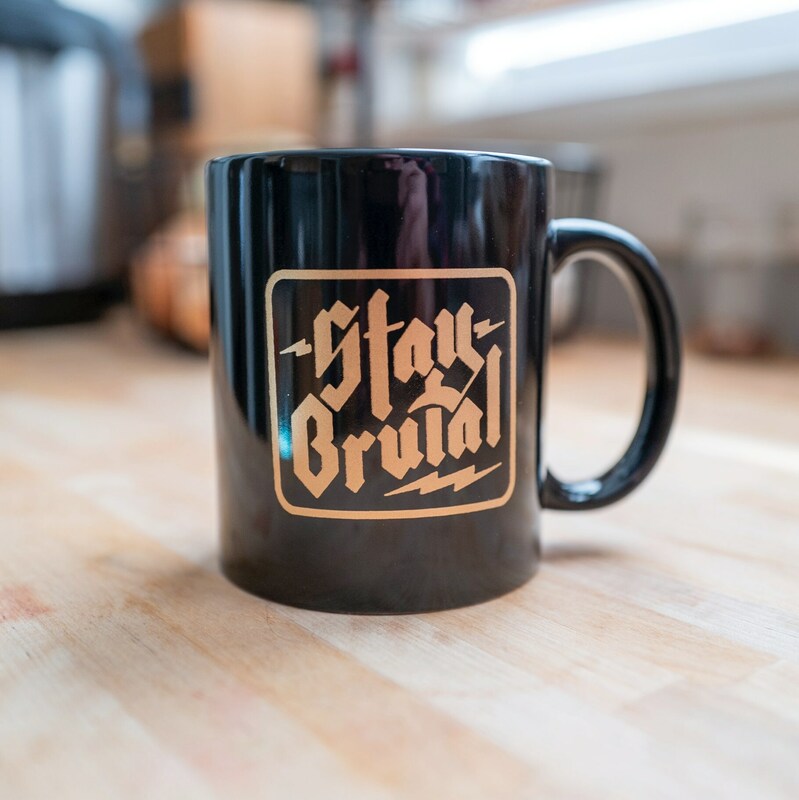 black coffee mug with gold ink. 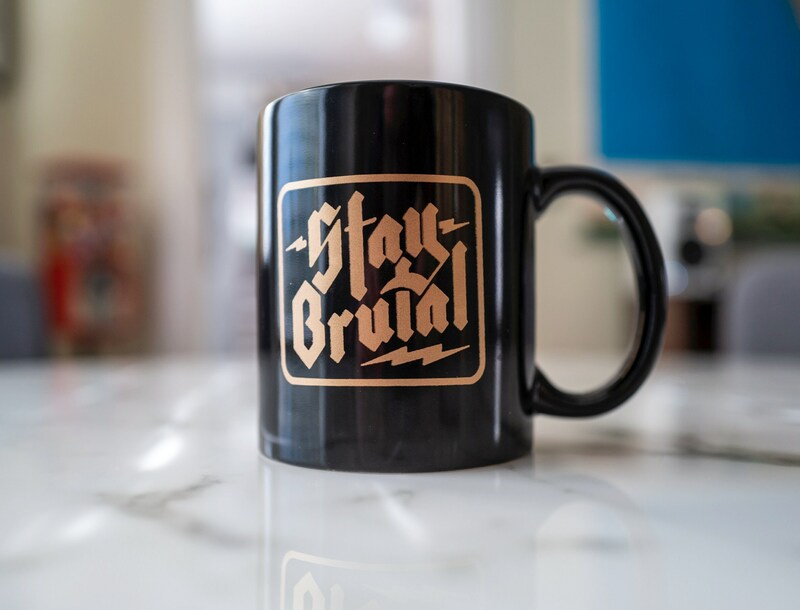 The print is on both sides of the coffee mug so no mater if you're left or right handed, the world will still see your brutal words of encouragement. 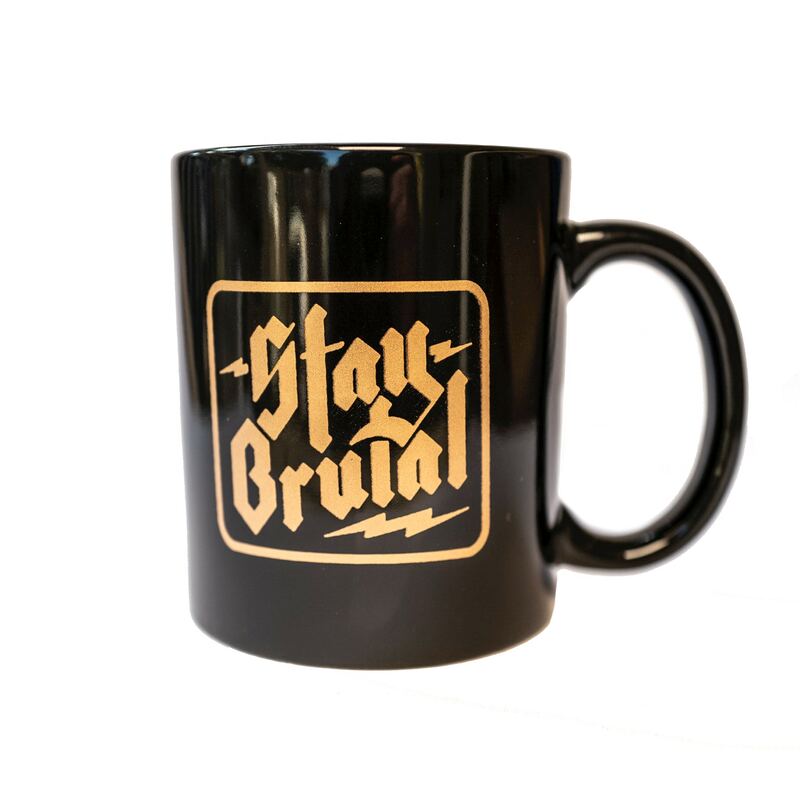 ** All new orders of this mug will come with a free STAY BRUTAL beverage holder for extra brutality. Great work! Finally have the collection!